Shepherd’s Company provides high-quality, professional services for your business, residence, property management company, or homeowners’ association (HOA) in the Mid Missouri or Lake of the Ozarks areas. All of our work is performed with care and attention to detail, and we provide a total solution for cleaning and protecting your property, preserving its value and restoring its appearance. Use our services to provide a first defense against dirt, mold, and mildew on the outside by removing it before it becomes a problem inside and a potential health concern, and more expensive to treat. We are staffed and equipped to handle jobs of nearly any size, including commercial buildings and condominium developments. Our service professionals have years of experience and a trusted reputation when working on your property. Remove twigs, leaves, and debris that can accumulate in your home’s gutters. Remove mold with a non-toxic biodegradable solution to protect the environment. Use a soft-cleaning technique to avoid damage to the roof shingles. Sealing of the wood to ensure its appearance lasts. 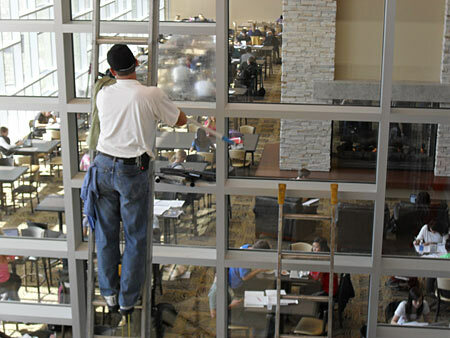 Shepherd’s Company is a recognized expert in Missouri for residential and commercial window cleaning, with over 20 years of experience. Our team of professionals have the knowledge and experience to get your windows washed properly and safely, restoring a clean appearance and letting the light back in. 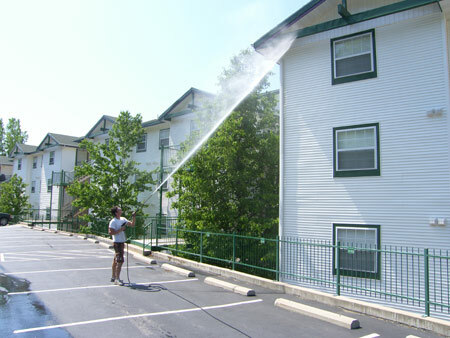 Can combine with Pressure Washing to make your building look like new! Shepherd’s Company can add a new coat of paint to an old home, or offer painting for new construction. For over 30 years, our painting and wallpapering services have been making walls beautiful in Central Missouri. No matter the room of your house, we have the expertise to appropriately prime, paint, and finish, as well as offer our advice to the appropriate type and color of paint. Hiring the experts at Shepherd’s Company will ensure your walls look great for years to come. Shepherd’s Company offers a range of selective construction services for a wide range of projects, from framing to complete remodeling. 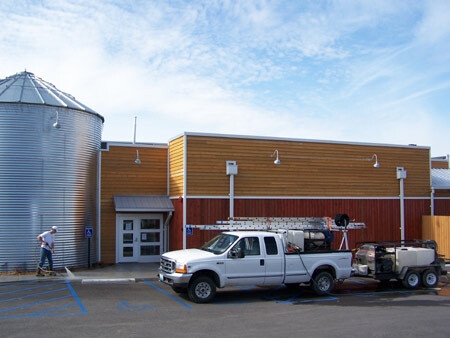 We have the ability to function as general contractor for our customers as needed. Smaller jobs complimenting our other services, including fence repair, building carports, etc. Medium to large size jobs: residential, commercial, private and public. Shepherd’s Company offers an all-inclusive Christmas and holiday lights service, including design, installation, maintenance, and take-down. We offer a wide variety of bulb types and styles, and can deliver an original lighting package that makes your home or business shine. Option to rent or purchase lights. LED / environmentally friendly & energy efficient options. The Company Mid-Missouri Has Relied On Since 1979.